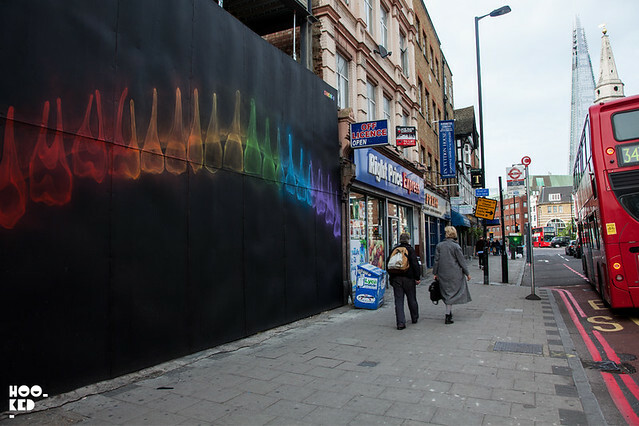 Following his recent trip across the pond, which saw London artist SHOK-1 bring his impressive X-Rainbow series to the streets of New York, allowing New Yorkers the opportunity to experience his colourful signature style first hand across a number of NY murals, the artist retuned to give this South London spot a fresh new lick of paint. 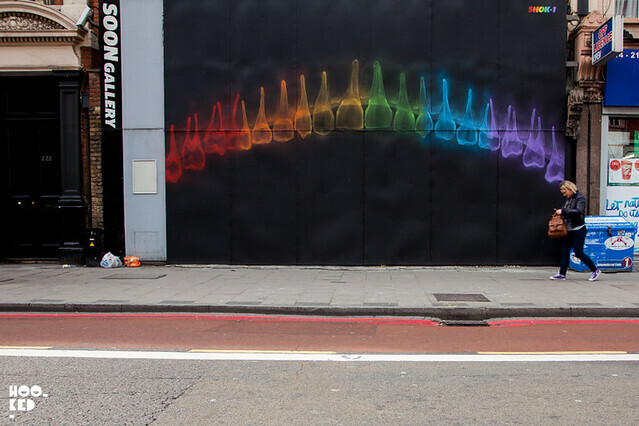 This wall close to South London's Borough Underground station has regularly featured works from the artist over the years and SHOK-1's latest addition sees him continue with the much loved X-Rainbow series with a new mural titled Biters'. Below are some images we captured but if you are in London we suggest seeing the piece in person. 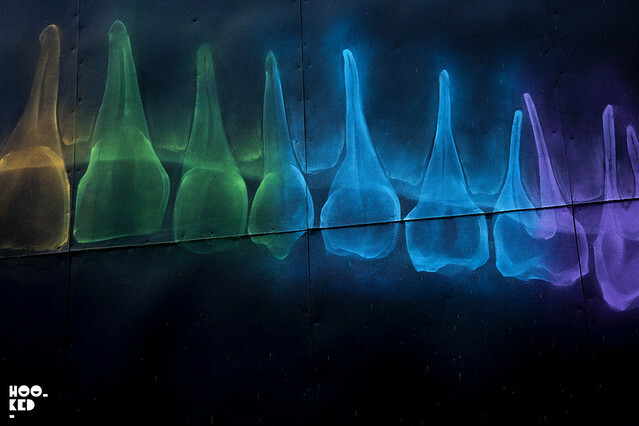 The finished 'Biters' X-Rainbow mural by Shok-1.